They all share the same goal: enrich and empower activists, bureaucrats and liberal politicians – while controlling and impoverishing the rest of us – all in the name of protecting the environment. Lisa Jackson’s resignation as administrator of the Environmental Protection Agency has focused attention on the “unfinished agenda” she leaves for this agenda-driven agency’s next director (probably Clinton era assistant EPA administrator and current California Air Resources Board chairwoman Mary Nichols). One of the most notable leftovers involves an activist think tank that recently informed EPA it intends to file a lawsuit demanding that the agency establish a cap-and-trade system for transportation fuels. The group had petitioned EPA in 2009 to regulate and ration how much motor fuel goes into the U.S. economy from refiners and fuel importers – thereby putting EPA in charge of cars, trucks, boats, trains and planes, to reduce greenhouse gas emissions and prevent alleged “dangerous manmade global warming.” Jackson’s EPA did not respond, leaving the lawsuit and potential regulations to the next administrator. The litigious attack dog is the Institute for Policy Integrity, an adviser-ridden think tank lodged at the New York University Law School and supported by foundation grants. Deeply incestuous connections between IPI, anti-fossil fuel groups and EPA officials raise troubling questions: Did the Jackson-era agency invite the lawsuit (or at least welcome the litigation), to “force” it to impose deeply unpopular regulations once President Obama was safely reelected? And why does “integrity” at NYU always seem to mean “do things in accord with left-leaning, anti-hydrocarbon ideologies and agendas”? IPI was created in 2008 by two NYU professors, Law School Dean Richard Revesz and adjunct professor Michael Livermore, co-authors of Retaking Rationality: How Cost-Benefit Analysis Can Better Protect the Environment and Our Health. They are creating not the rule of law, but the rule of lawyers – in league with activists in and out of government (through a huge revolving door: out of green groups into government, and vice versa) who employ insider knowledge and constant pressure to impose expensive, job-killing rules that Congress never intended and do little for the environment or human health. The eco-elite’s presence on the IPI’s 22-member advisory board is impressive: high-ranking officials of the Environmental Defense Fund, Natural Resources Defense Council, World Wildlife Fund, League of Conservation Voters, Resources for the Future and Union of Concerned Scientists. The combined assets of these BANANA groups (Build Absolutely Nothing Anywhere Near Anything) exceed $885 million. The IPI’s former-bureaucrat firepower is even more staggering. It includes a deputy secretary of state for management and resources, two former head lawyers at the EPA, and one lawyer from the Food and Drug Administration. There are also lawyers from the Department of Justice, Office of Management and Budget, and Occupational Safety and Health Administration, along with legal advisers from the White House Council on Environmental Quality, Council of Economic Advisers, Office of Science and Technology Policy, and Obama administration’s special Task Force on the Auto Industry. Finally, the big guns: Clinton White House Chief of Staff John Podesta left IPI to lead the liberal think tank Center for American Progress, while Jack Lew departed the IPI in January 2012 to serve as President Obama’s White House chief of staff. Lisa Jackson leaves a scary legacy that time-bombs like IPI’s transportation fuel cap-and-trade scheme will greatly expand. EPA is already prepared to unleash its first wave of carbon dioxide regulations – to augment punitive taxes that some members of Congress want to impose on hydrocarbon use and carbon-dioxide emissions, and new treaty obligations that United Nations climate alarmists are devising to regulate energy use at the international level. Any one of these actions would send new shock waves through America’s still weak economy. If all three are imposed – especially in conjunction with Obamacare, just-passed tax hikes on small business job creators, and reams of other government regulations – the impacts will be devastating. EPA alone inflicts some $353 billion in annual regulatory burdens, notes a report by the Competitive Enterprise Institute. 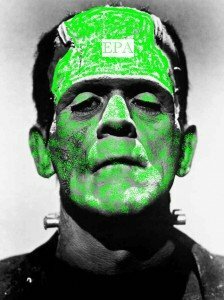 Under President Obama and Ms. Jackson, EPA conducted illegal experiments on humans and imposed 2,071 new rules whose benefits exist mostly in computer models and press releases. Indeed, the rules often worsen human health and welfare, by increasing joblessness and thus poverty, stress, poor nutrition, and the risk of strokes and heart attacks, spousal, child and alcohol abuse, suicide and premature death. Predictably, IPI’s lawsuit notice to EPA exploited public susceptibility to misinformation about severe weather events. “The damage caused by Superstorm Sandy was widely linked to some of the potential risks associated with a warming planet.” Climate alarmists have certainly tried to make that link. However, as many analysts have noted, Earth has not warmed for 16 years, hurricane and tornado frequency and intensity are below normal, the rate of sea level rise has not changed, and storms like Sandy, Isabel, Katrina and the “Long Island Express” have repeatedly battered the United States and Canada over the centuries. Moreover, U.S. carbon dioxide emissions are at their lowest level in 20 years, even as 57 million new energy users have been added to America’s economy since 1992. Global atmospheric CO2 levels nonetheless continue to rise, because of emissions from China, India and other nations. Radical groups like IPI, grant-hungry scientists, and politicians seeking to scapegoat their decisions to allow development in low-lying coastal areas naturally want to link Sandy to hypothetical global warming. 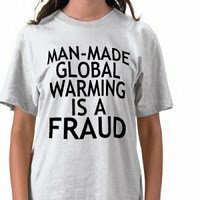 But numerous experts – including Martin Hoerling, chairman of the National Oceanic and Atmospheric Administration’s climate variability research program – say there is no link. The new EPA boss will have many other dimwitted and outright fraudulent regulatory disasters to cope with – or perpetrate and perpetuate. Among the most explosive are the agency’s costly new standards for atmospheric ozone (which would send most U.S. counties into noncompliance) and rules slashing allowable soot emissions from smokestacks, diesel trucks and other sources. The science behind both the earlier and proposed soot standards is not just highly questionable; it has also involved unethical testing of human subjects at pollution levels that EPA claims are “deadly,” but which did not kill anyone – or even make them sick. A lawsuit by the American Tradition Institute places the messy human rights, medical ethics, regulatory misconduct issue before the courts for the new EPA administrator to untangle. But IPI’s lawsuit will remain high on the new EPA’s to-do list. IPI Executive Director Michael Livermore demands that the EPA “make a finding” that transportation emissions might endanger public welfare, “propose a cap-and-trade system” for transportation fuels, find that aircraft fuels “endanger” public health, “propose a joint rulemaking with the Federal Aviation Administration” to include aircraft fuels in the cap-and-trade scheme, and finalize the regulations within 90 days! Lisa Jackson did not pick up the phone and immediately tell NYU Law School Dean Richard Revesz, “Yes, sir. Right away, sir. Anything else, sir?” In fact, she said nothing at all, which is what provoked the IPI’s lawsuit – but also ensured that these messy issues did not create new problems for President Obama’s reelection campaign. However, if Jackson or her successor ultimately agrees to these claims, it will look suspiciously like a “sweetheart lawsuit” – one in which the agency welcomed IPI litigation, to justify implementing a long-hidden agenda, now that President Obama is safely ensured of his second term. If EPA settles such a suit without going to trial, the public (and Congress) would have no voice in a decision that upends the transportation system that moves and supplies America. Of course, the EPA action would further advance President Obama’s stated goal of “fundamentally transforming” the United States. Columnist Ron Arnold is executive vice president of the Center for the Defense of Free Enterprise. Portions of this report appeared originally in The Washington Examiner and are reproduced by permission. Is Keynesianism a socialist Maneuver? Have we gone too far down the road of nationalization?